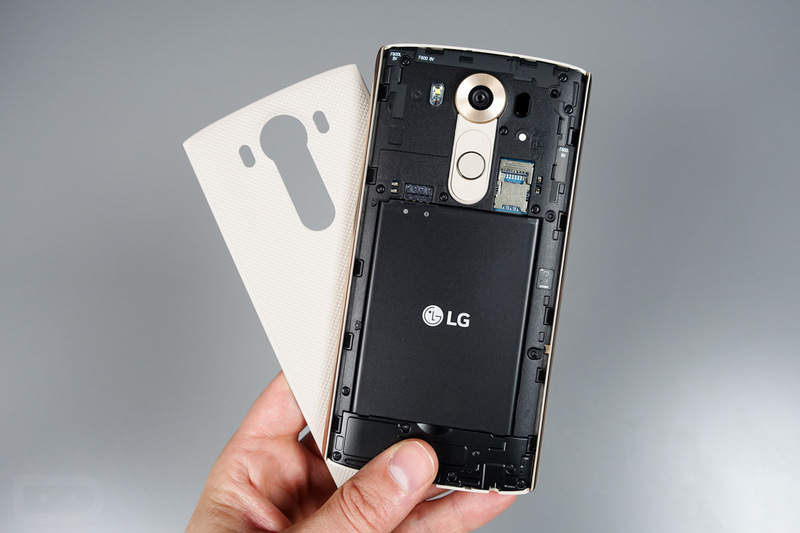 Like it did with the LG G4, LG is giving away goodies to those who pick up its latest phone, the V10. This morning, AT&T announced that customers who buy the phone would receive a free micro SD card, but as it turns out, LG is doing a similar deal plus more for V10 purchases on the three US carriers it plans to sell through. According to LG, V10 purchases will include a free 200GB micro SD card, free spare battery, and a battery charging cradle. In order to claim your freebies, all you need to do is head over to this LG promo page and follow their instructions. Just be sure to do it shortly after buying the V10, as the promo is only available for a limited time. ENGLEWOOD CLIFFS, N.J., – Oct. 26, 2015 – For a limited time, participants who purchase a new LG V10™ purchase during the promotional period will a 200GB microSD card, extra battery and battery charging cradle. This promotion applies only to new LG V10 handsets purchased through AT&T, T-Mobile and Verizon Wireless. For more information, including availability please visit: lgv10promo.com. The LG V10 is designed to be taken places other phones normally wouldn’t feel at home. The resilient Dura Guard frame firmly secures the display to protect the phone from hard bumps and tumbles. The LG V10’s frame is composed of SAE grade 316L stainless steel, the same tough, hypoallergenic material used to make surgical tools and high-end watches. Since the edges and corners are the most vulnerable areas of a phone, the extra protection provided by the Dura Guard frame helps ensure maximum durability. In independent testing and certification by MET Laboratories, LG V10 was dropped repeatedly at different angles from a height of 48 inches, and this rugged device was verified as “MIL-STD-810G Transit Drop Compliant” for shock. Cameras: Take beautiful, crisp photos and videos with the 16MP camera with Laser Auto Focus, and dual 5MP front-facing cameras. Capture the perfect selfie even in the lowest light with the Gesture Shot and Selfie Light. Processor: Qualcomm®Snapdragon™ 808 Processor, combined with 4GB of RAM lets you move quickly through your favorite apps. Storage: Now more ofyour photos and videos can live on your smartphone. It has 64GB of internal storage memory, expandable up to 2TB using a MicroSD card (sold separately). Access & Security:Along with LG’s popular Knock Code, the LG V10 features a new fingerprint sensor to unlock it and turn on the display simultaneously. Verizon Teases DROID Turbo 2 to "Shatter Expectations"